I'm starting my week off with this profound statement from Anne Frank. 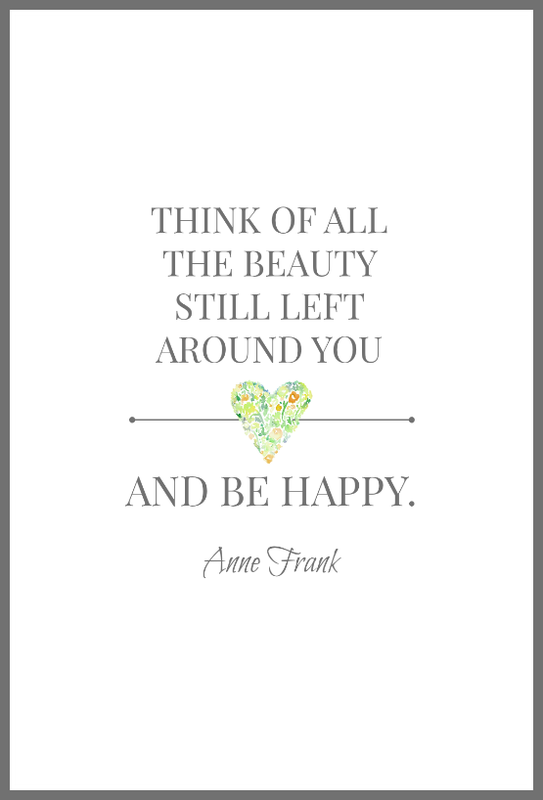 I am reminded to live a beautiful life every time I see Anne Frank's name or her quotes. This beautiful artwork is by Ann at On Sutton Place and she offers a free download of this art on her website, along with many other wonderful inspirational quotes. Click here to view and download.